MELVILLE, N.Y., February 25, 2018 – Upgrading from a smartphone camera to an entry-level interchangeable lens camera (ILC) can be considered to some people a daunting task. Canon U.S.A., Inc., a leader in digital imaging solutions, supports those looking to advance their skills by continuously developing and evolving its gear. 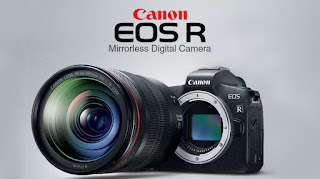 Today, the company announced their latest additions to its all-encompassing lineup of digital cameras: the EOS M50 Interchangeable Lens Camera, the first Canon EOS M-series camera with 4K video recording which is four-times the size of full HD 1080, and the EOS Rebel T7 / EOS 2000D, the latest addition to the wildly popular EOS Rebel line of entry-level DSLR Cameras, with an upgraded CMOS sensor to deliver sharp, high-resolution images to capture life’s key moments.